Experience Tower Butte from a vantage point where few have been – at the top! Experience Tower Butte from a vantage point where few have been – at the top! Stand 5,000 feet above sea level, atop one of the desert southwest’s most fascinating features. 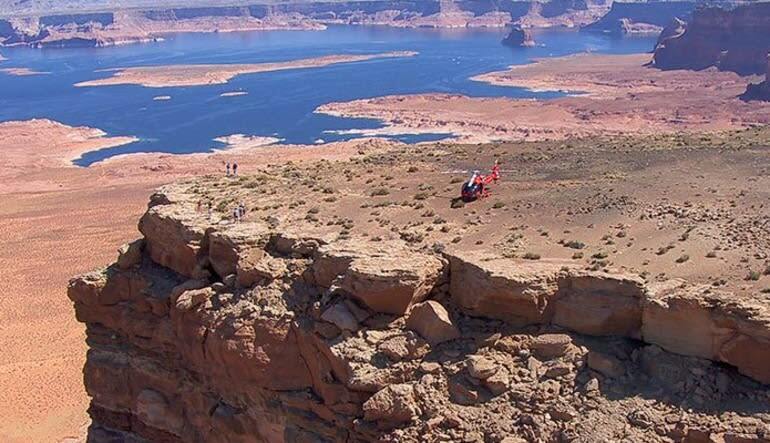 Upon boarding a state-of-the-art helicopter, fly eastward to enjoy views of Lake Powell, Glen Canyon Dam, and incredible Horseshoe Bend before your helicopter ascends Tower Butte. 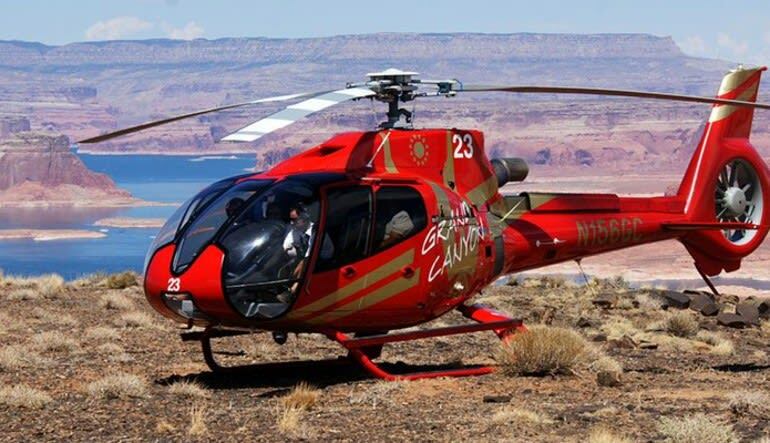 Step off the helicopter and marvel at the 360-degree panoramic views - Glen Canyon, Lake Powell, Padre Bay, the Grand Staircase Escalante, and the LeChee Rock unfold before you. The scenery is breathtaking! Enjoy approximately 20 minutes on Tower Butte for unrivaled photo opportunities. This location is only accessible by helicopter and offers an exclusive experience not offered by any other provider. Return to the air terminal with cherished memories to last a lifetime. Tower Butte: Land on top of Tower Butte and be one of the first to set foot in an area only accessible by helicopter. The views of the surrounding area from atop are absolutely breathtaking! Landing duration is approximately 15 - 20 minutes. Put it on your bucket list but my husband and I have done allot but worth the time and money for sure!! 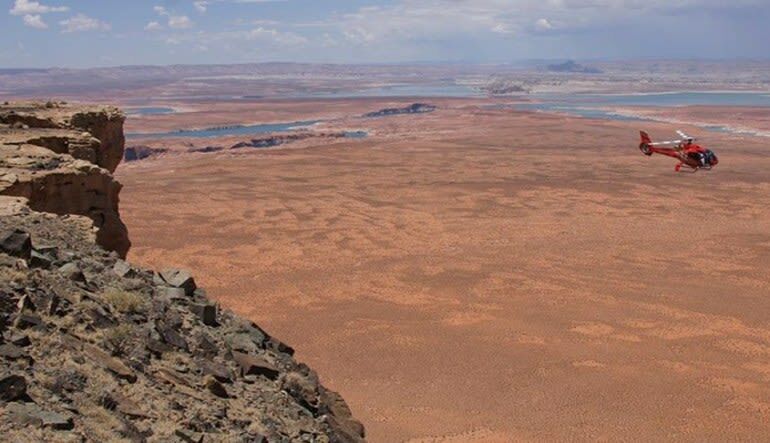 I loved landing on Tower Butte and seeing the surrounding area from the air. This was my first helicopter ride and it was truly magical. The pilot was great and the other passengers were a lot of fun. Highly recommend! Terminal Check-in: Upon arrival, our customer service representative is readily available to answer any questions and provide prompt check-in. 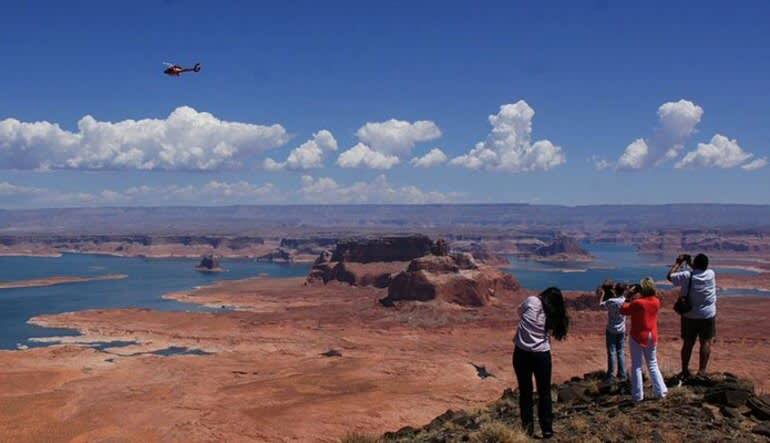 Flight Details: Depart on a helicopter flight over beautiful Lake Powell with wondrous views of Lake Powell, Glen Canyon Dam, and Horseshoe Bend.